Dynamic Gentle Yoga with my honored teacher Rudy Peirce. Qigong & Taiji with my revered teacher Ken Nelson. Classic New England seaside charm. "Few things capture New England quite like Chatham, Massachusetts, a quaint township on the southeastern tip of Cape Cod. 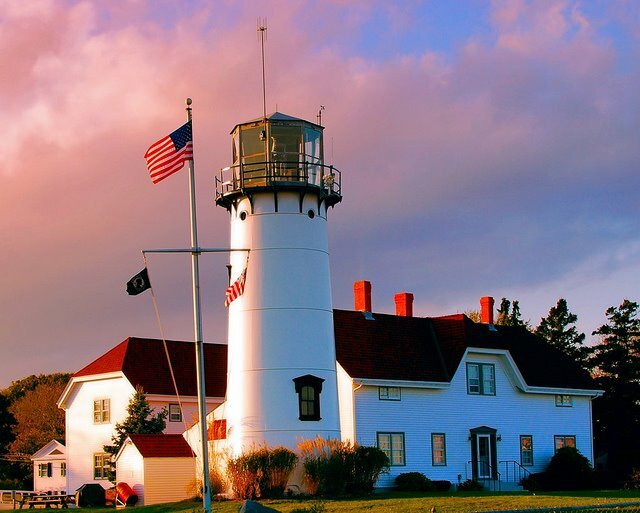 From the landmark 19th-century Chatham Lighthouse, which looks like something straight out of an Edward Hopper painting, to the Chatham Railroad Museum, set in a train station that dates back to the late 1800s, Chatham has all the makings of a classic beach town. The buzzy, pedestrian-friendly Main Street is choc’a’block with old-time businesses and cozy eateries, all locally owned and run, of course. Standouts include Candy Manor for homemade fudge, the homey and lively pub-like Chatham Squire, and Jo Mama’s, which is known for New York-style bagels and Fair Trade coffee. But that quaint feel doesn’t come without work. The residents have worked to preserve it. When the old Orpheum Theater was turned into a CVS, locals raised money to turn it back into a movie house. Today they show a mix of old flicks and new releases and serve wine and beer."